Baselworld for many is a fair of high-end watches, either being big brand names like Patek Philippe or independent Manufacturers like MB&F. 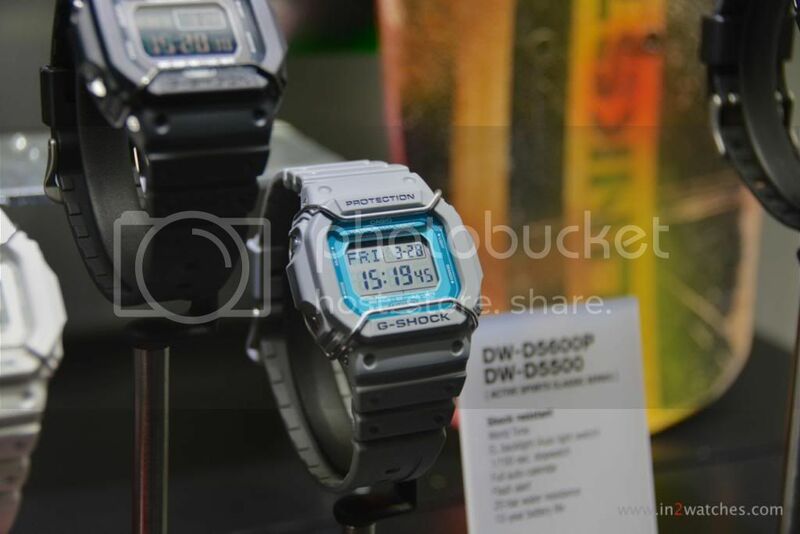 However I can’t help stopping by Casio each year in order to see the new G-Shocks as well. Being a G-Shock fan and collector myself, it’s a good opportunity to see new models which never might hit my local (Dutch) market, and so will be difficult to see for real later on. My taste in G-Shocks seems little upstream. The ones I like are mainly the simple ‘squares’, not being the commercially most attractive or successful. This year the camo’s (camouflage models) were really hot, and a lot was leaked and speculated about those new models before the fair. They’re certainly very nice, however not my cup of tea. This entry was posted on March 30, 2014 at 11:50 and is filed under all, events, front page, news. You can follow any responses to this entry through the RSS 2.0 feed.